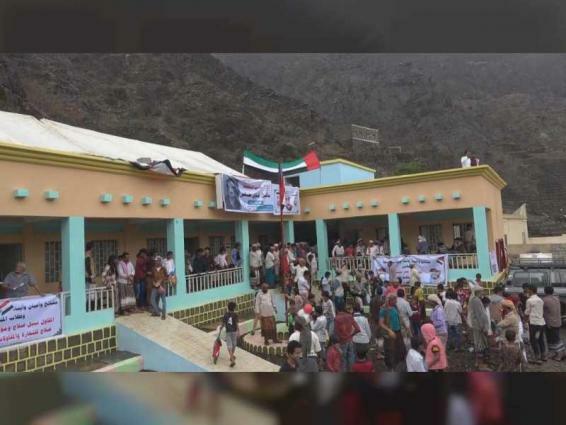 ABYAN, (UrduPoint / Pakistan Point News / WAM - 16th Apr, 2019) The UAE has opened the Martyr Bellail Olwi Taher Secondary School at Hatat area in Sarar Yafei District, Governorate of Abyan, after it was restored and equipped with all requirements to serve 12 villages in the region. The Director of the education Office at Abyan Governorate, Dr.
Waddah Al Mehwari, extended his thanks and appreciation to the UAE for the project accomplished for the benefit of the population as students used to study in classrooms made from tents and under trees. The Director-General of Sarar District hailed the support provided by the UAE in all fields for the population in the area and all Yemeni governorates. He also thanked the Emirates Red Crescent for its efforts to build the school which was a dream come true for the population in the district.